Yesterday, I made a simple vegetable soup (onions, celery, carrots, broccoli and diced tomatoes simmered in homemade chicken stock from the freezer) that we shared with G.’s mother and brother across the street at lunchtime. It was a warming treat during a grey, drizzly, cool day. Today, I was thinking about how meager our lunch choices were and thought about making the soup again. 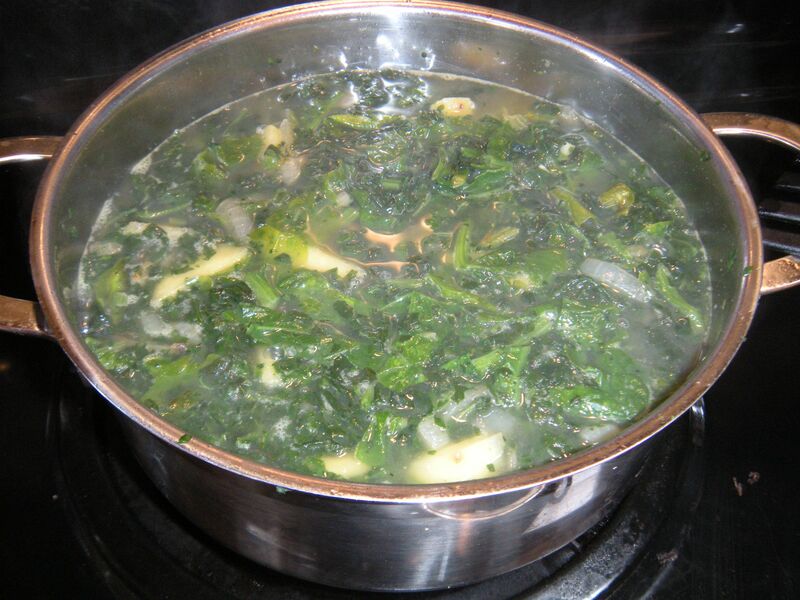 Instead, I looked around and discovered some fresh spinach that was looking a little sad but still good, so I looked online for a spinach soup recipe and found one that incorporated a sweet potato too! Since I’m meeting my daughter, C., for dinner tonight, (we’re celebrating by ordering Peking Duck in the same restaurant that we went to when she got her first job in high school! – imagine that!) 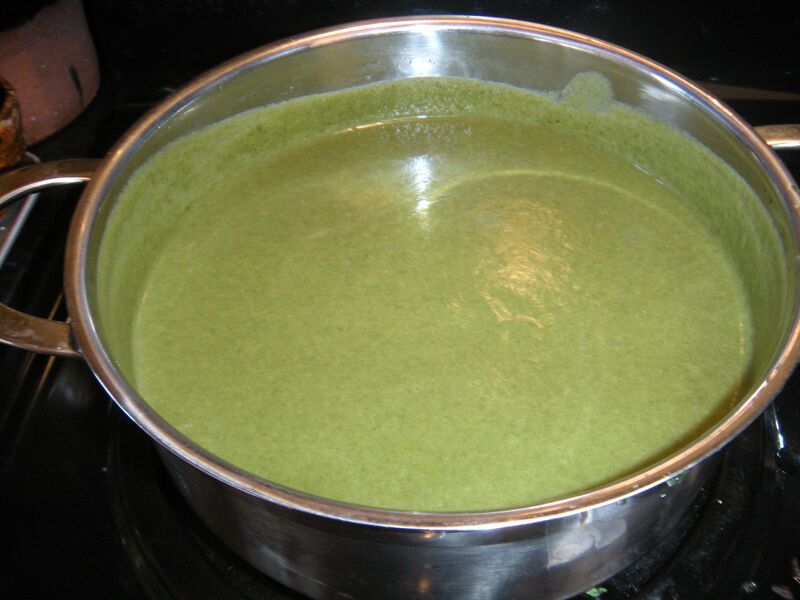 There will be enough soup for G.’s dinner to enjoy here at home by himself tonight too. Some things stay the same (like the Chinese restaurant still open after thirty years in the same location!) while recipes made with sweet potato and almond milk offer new approaches to cooking healthy! The more things change, the more we can still find ways to savor our time together, right?